Learn the perfect cue action for snooker, pool and billiards. Do you want to improve your snooker/pool skills? Make higher breaks? Win more matches? 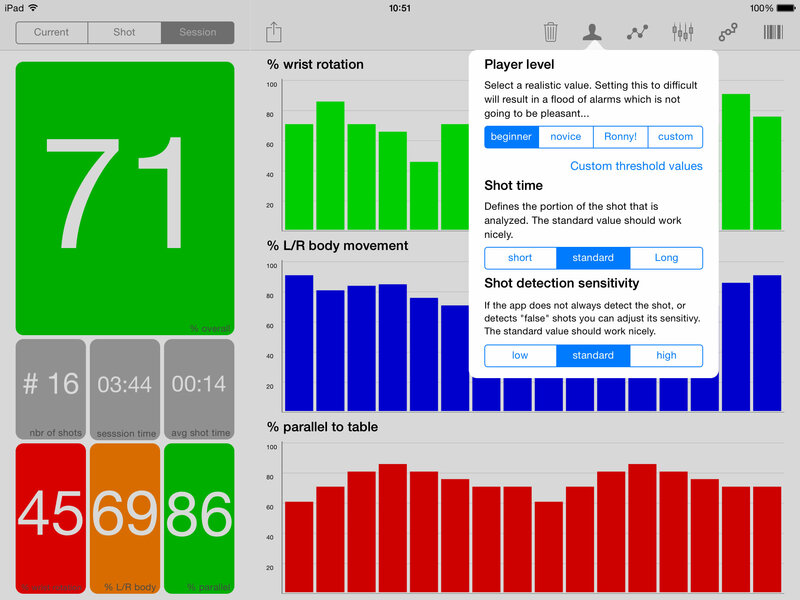 It all starts with a good cue action... CueMeasure is an application developed together with the top coaches in the world to measure and improve your cue action. 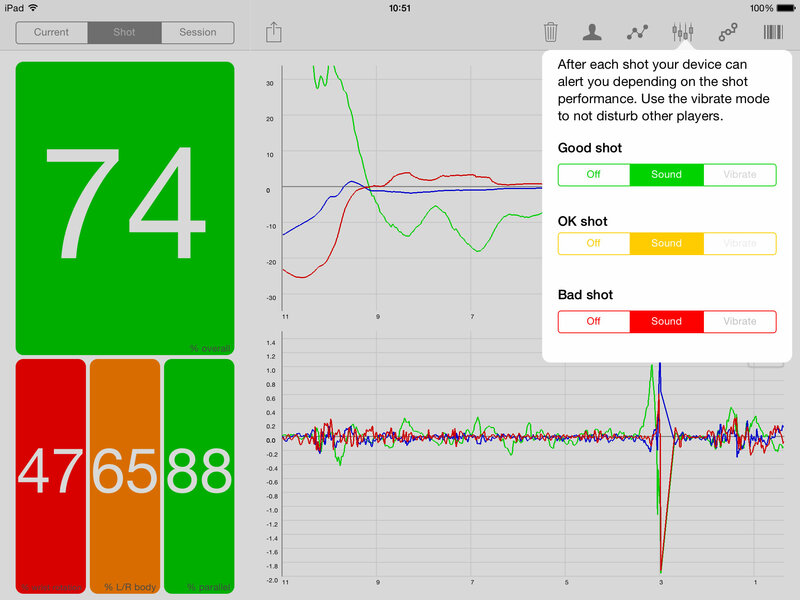 CueMeasure is used by top coaches around the world to quickly detect problems with the cue action and help to solve them! No need to invest in expensive equipment when you can already improve a great deal using this application only. 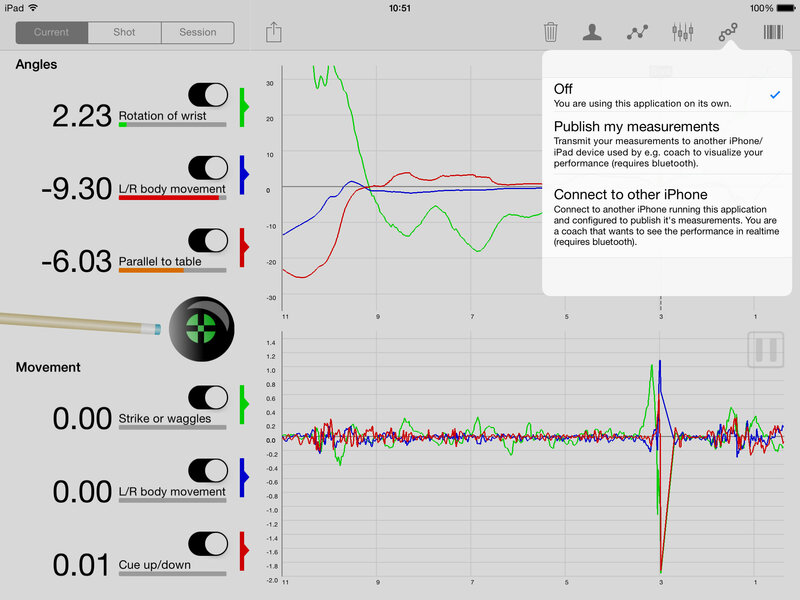 CueMeasure works perfectly on its own, but it also supports a networking/coaching mode where the cue action measurements are transmitted in realtime to another iPhone/iPad device (typically an iPad). 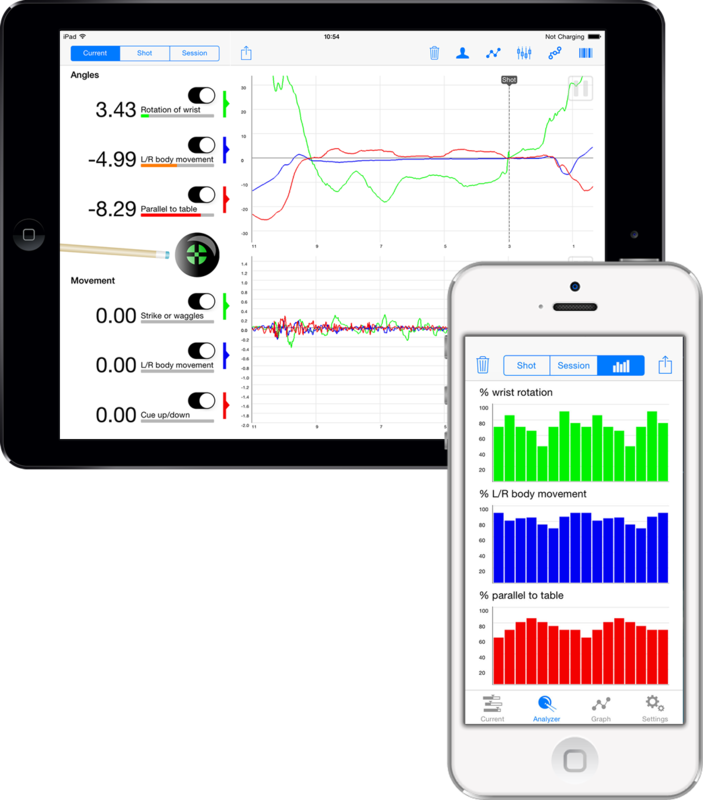 Your friend or coach can then view your performance in realtime. 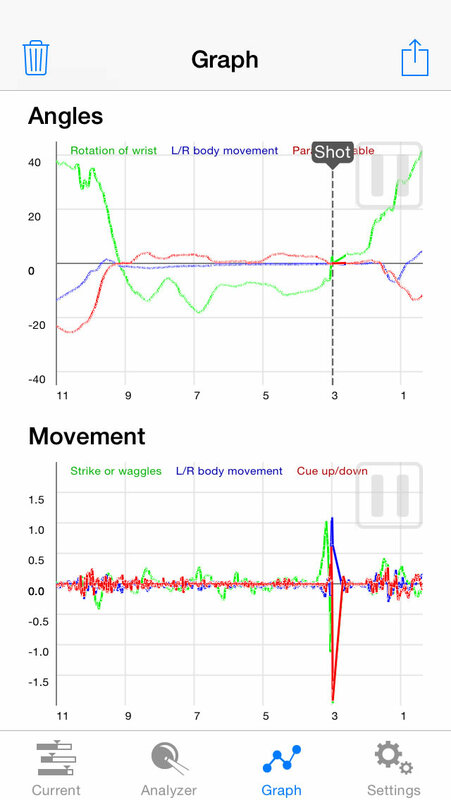 During my first session with CueMeasure it immediatly alerted me that I was rotating my wrist during final backswing. It took me a while to correct this, but eventually I am hitting the ball much more straigth now. 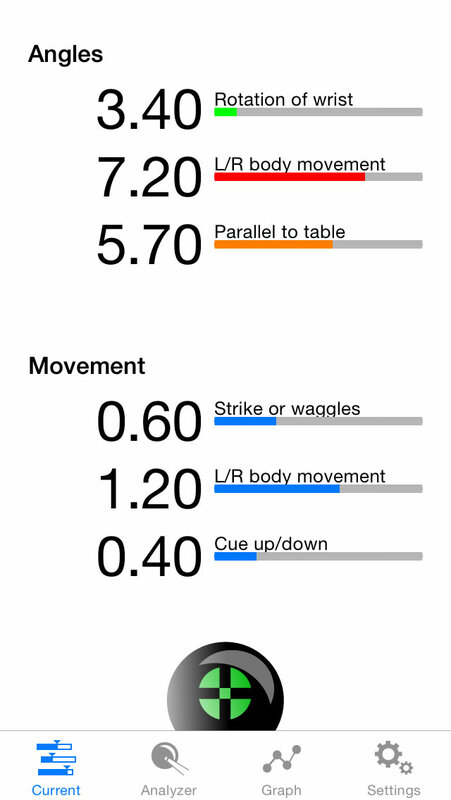 CueMeasure indicated to me that I was lifting the cue when I was hitting the ball. Together with some people from my club, we found out that this was because I was raising my elbow! 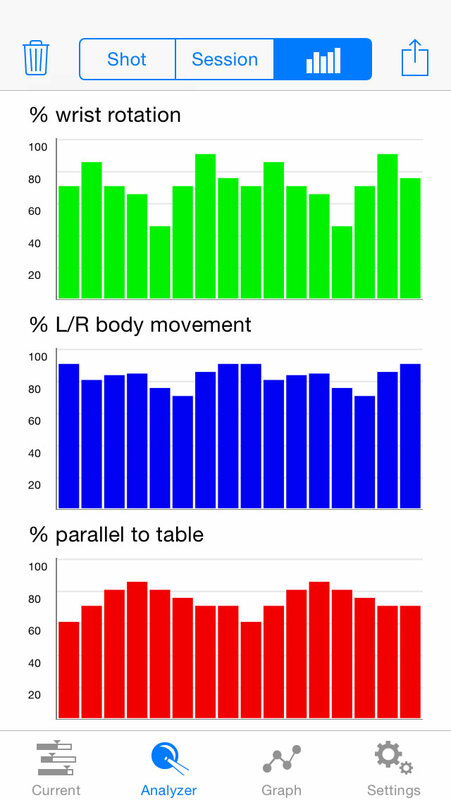 The graph of CueMeasure indicated that I was swinging the cue left/right during my waggles. I was cueing "around my body" instead of straight! 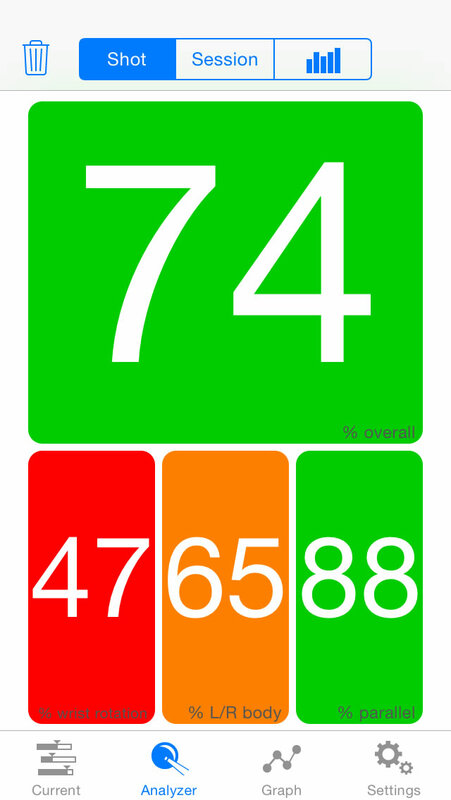 CueMeasure requires iOS 7.1, it's a standalone app (no internet connection required) and is developed to run beautifully on iPod/iPhone 4(s) - 5 - 6 - 6 plus and all iPad devices. 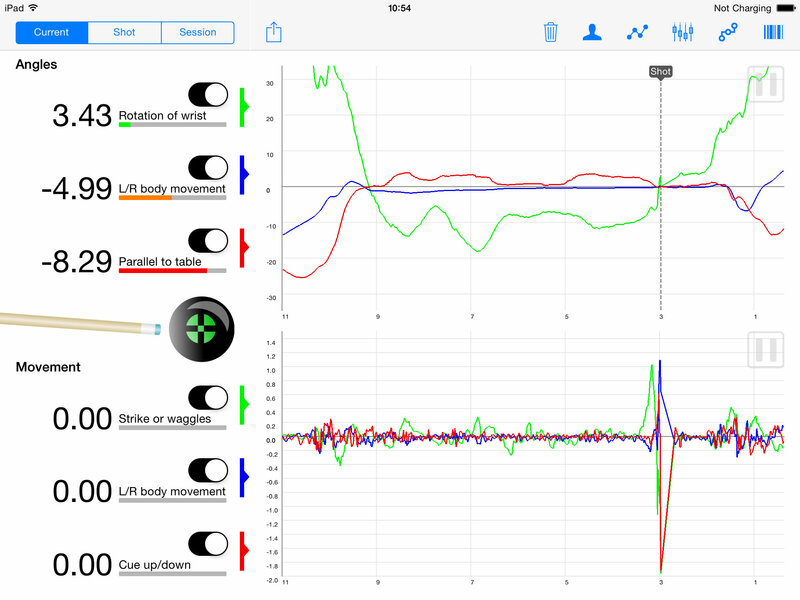 Please note that you can install CueMeasure on an iPad for coaching mode, but for the actual measuring of the cue action it requires an iPhone. Want to get in touch? Have any questions?